Finally! It’s happened PeakNation™, Sen. Mark Udall just released an ad that focuses on what according to Gallup is one of the major concerns for Americans and Coloradans. We’ve waited a long time for this, but it’s uplifting to finally see Udall focus on the economy, dissatisfaction with government, Jobs, unemployment, immigration, federal debt, federal budget, foreign policy, ethics, healthcare, terrorism, gap between rich and poor, wars in Middle East, education, poverty, situation in Iraq, judicial system, race relations, international problems, national security, crime, taxes, welfare, environment, lack of money, conflict between Middle East Nations, corporate corruption, lack of military defense, inflation, lack of respect for each other, oil prices, gay rights issues, unifying the country, gun control, election reform, natural disaster response abortion. With his unwillingness to debate Rep. Cory Gardner in any format that doesn’t minimize his exposure to Colorado voters (yes, Lynn, we understand he’s debating in front of a couple hundred people every now and then, and for the hundreds upon hundreds of Kyle Clark and Brandon Rittiman fans, but if Udall has nothing to hide, why won’t he allow the most Coloradans to judge him and record accordingly?) Udall’s cynical campaign—where he gives the middle finger to Colorado, and reduces the full complexity of women to single-issue voting—rolls on in his latest ad. For the record, all those issues struck-through above were listed above abortion as what Americans think are the most important problems facing America today. Udall’s campaign has turtled, hoping they can ride out the rest of the way by turning out low-informed voters who don’t notice how utterly Udall has failed Colorado for the past six years. The man who says you should judge people by their record and not their words, is trying his damndest to hide from his record, while distracting voters through just words. According to that metric, the Udall of 2008 wouldn’t vote for the Udall of 2014. 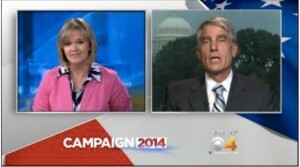 No wonder the Colorado press is fed up with all of Udall’s BS. least I looked no one has a more powerful vote than a supreme court justice…..